All our cloud API connections use SSL. Which means communications between Nest and third-party developers are always encrypted. 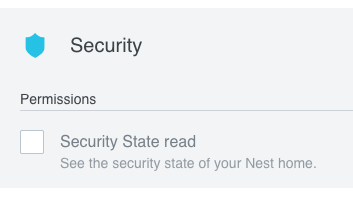 Also, Nest performs regular security audits against its cloud infrastructure. Nest takes extreme precautions to protect your privacy. We share a limited amout of data. We always ask permission before sharing customer data. And we can revoke access at any time — and so can our users. Interested in working with both Nest and Google? We’re making it easy for developers to build products for both programs. Nest and Google are working closely on common schemas, so the same product can work with Nest and Google with little cost and overhead. Want to see how easy it is to get started with the Works with Nest API? Try our quick start Codelab. You'll run through the entire integration workflow, from creating a client to writing to the API. 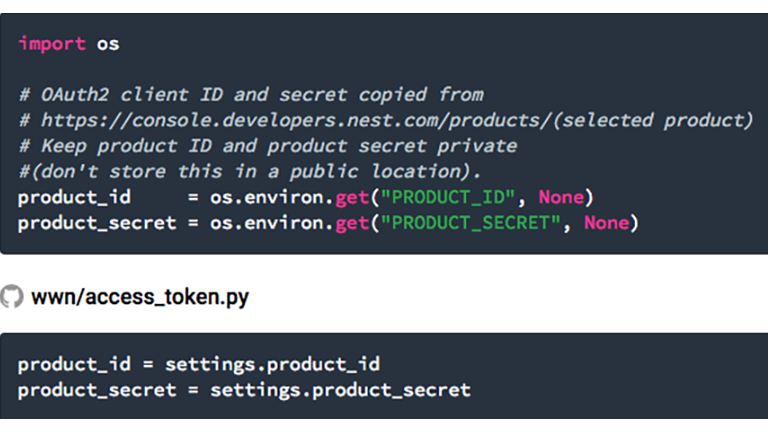 Use the Nest Python sample app, along with the 10 Tips Codelab and companion video series to learn how to build some essential elements of a successful Works with Nest integration. Learn how to secure your API credentials, provide a structure picker, set the structure to Home/Away, and implement other best practices. LIFX works with Nest to build the heart of your smart home. 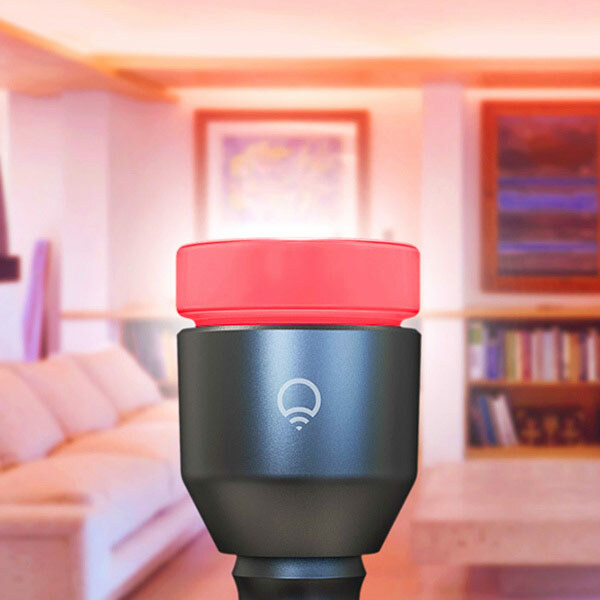 LIFX makes Wi-Fi-enabled, multi-colored LED light bulbs that work with every Nest product to automatically create a brilliantly connected home. LIFX dims the lights to help people save energy when Nest senses that nobody's home. 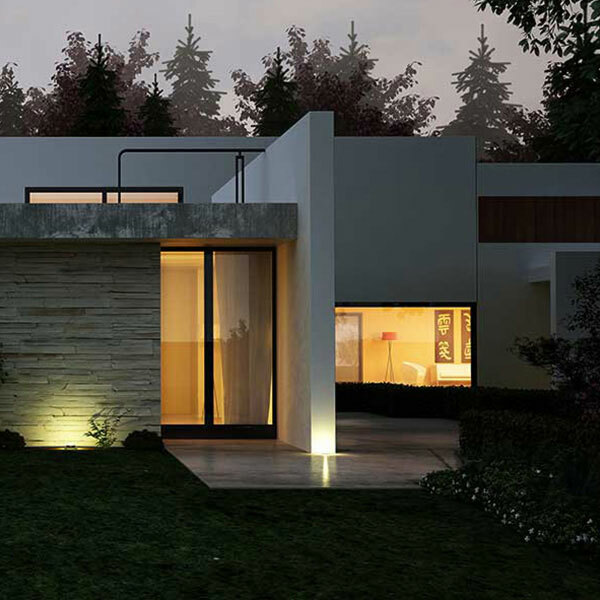 When Nest Cam senses motion or sound and the house is empty, LIFX lights can turn on one by one to scare off intruders. New code samples have been added for REST and REST Streaming. 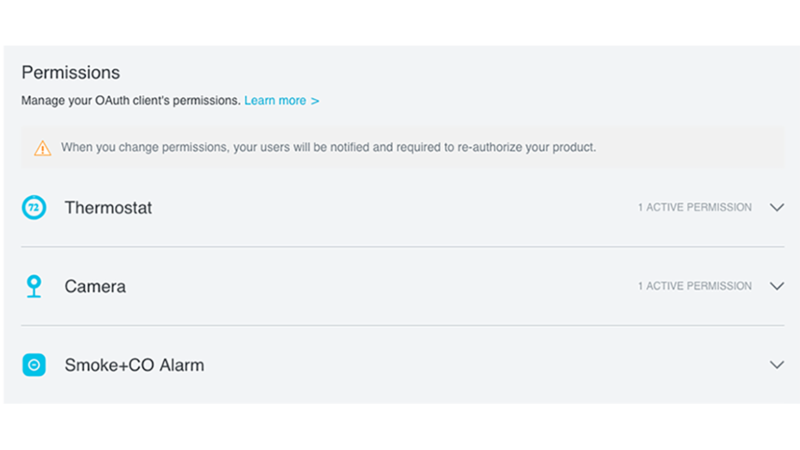 The permissions tab on the OAuth Clients page has been redesigned. A new endpoint, wwn_security_state, has been added to the Nest API. This state works with Nest Cam to enable Works with Nest integrations to simulate occupancy and deter intruders. Nest is working with tinkerers and startups, as well as brands you already know and love. 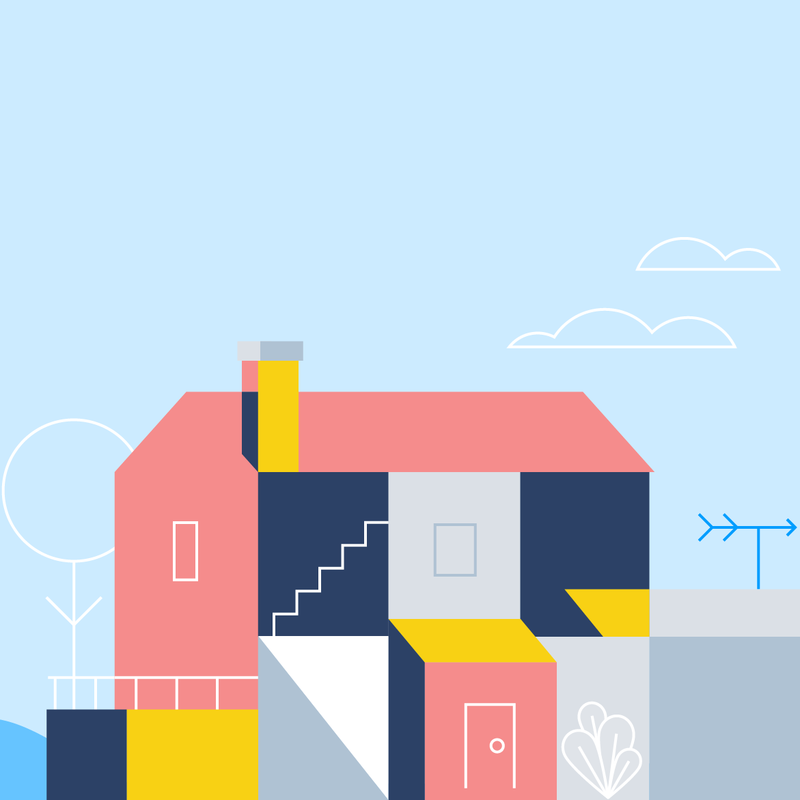 Here are just a few of the ways their products work with Nest. 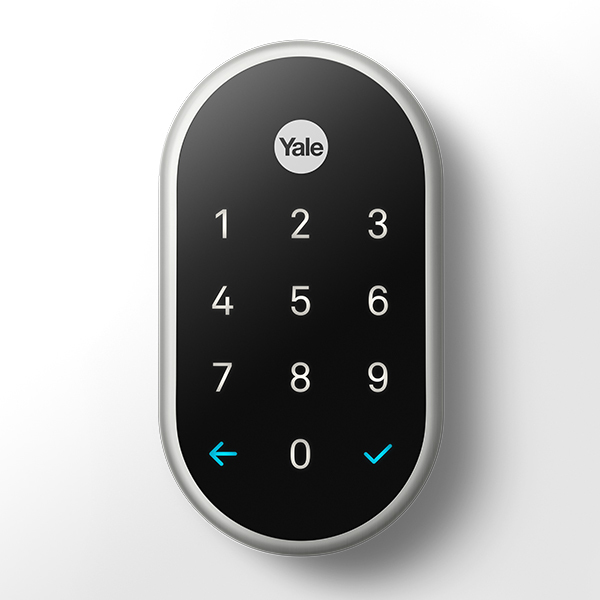 The Nest x Yale Lock is a tamper-proof, key-free deadbolt that connects to the Nest app. You can unlock and lock your door from anywhere. Give people you trust a passcode, instead of a key. And always know who comes and goes. Your lights can look out for you. When Nest Cam senses motion when you’re away, your Philips Hue lights can turn on and off as if you’re home. If Nest Protect detects smoke or carbon monoxide, LIFX bulbs can flash red to let you know there might be danger and help alert those who are hearing impaired. 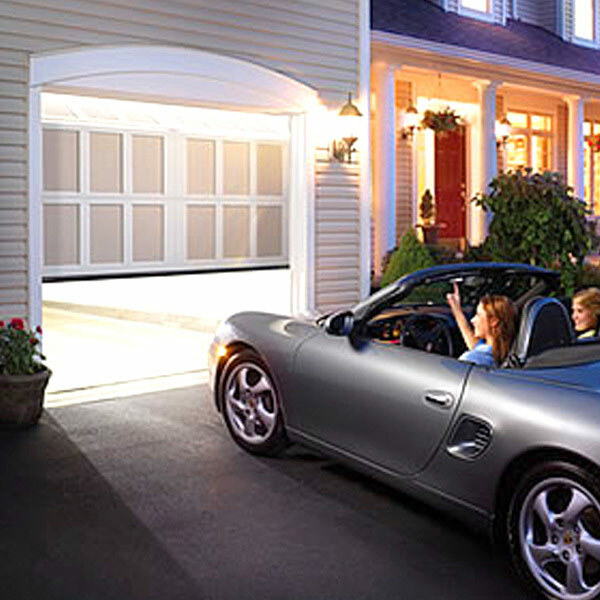 Your garage knows when you’re home. Or Away. Open the garage when you arrive, and Chamberlain can tell Nest you’re home. Close it on your way out, and your thermostat can go into Away mode so you don’t waste energy heating or cooling an empty home. Lights, shades and thermostat. There’s one app for that. Control your lights, shades and thermostat all in one place. 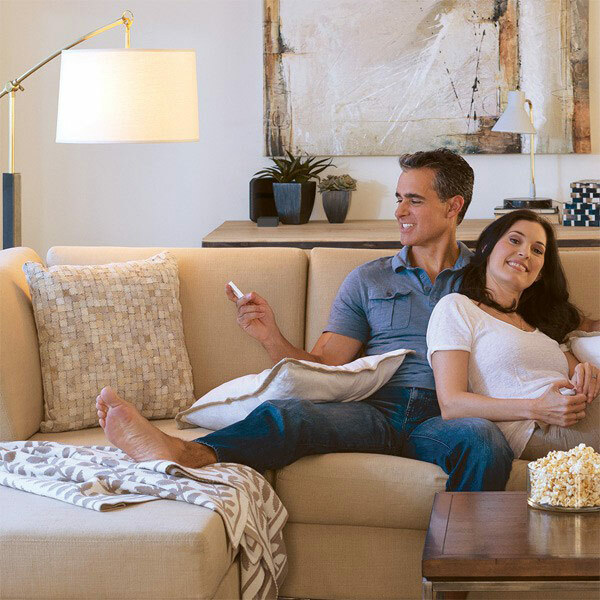 The Lutron Caséta Wireless App lets you adjust the temperature and set your Nest to Home or Away from anywhere. Plugs that help deter and secure. 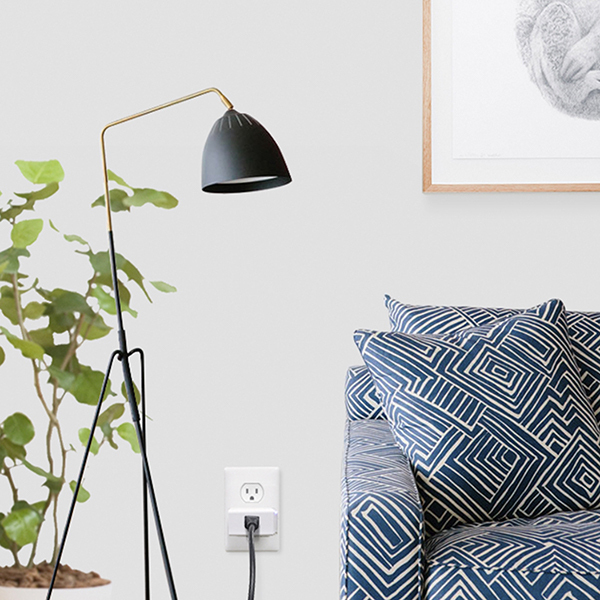 When Nest Secure is armed and you’re away, TP-Link’s smart plugs can make it seem like you’re home by randomly turning on things like speakers, lights, and TVs. And they can turn on a device to make it look like someone’s home when Nest Cam detects a person.